Our new building in Perrysburg, OH is officially complete, and we have to say we’re VERY happy with the results! During this move, it was important to have a building that allowed us to grow as a company and better serve our customers. If you haven’t had a chance to see for yourself, let us formally introduce you to our fresh headquarters. The most visible upgrades can be found in the showroom. 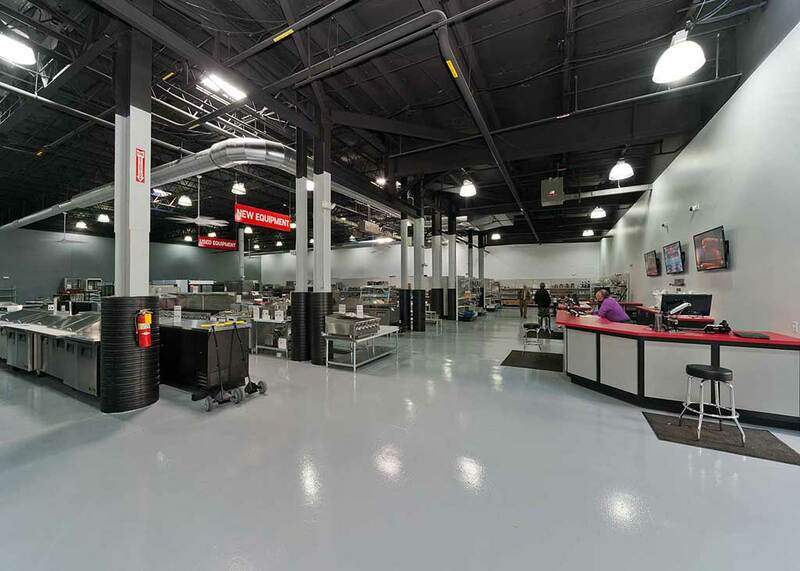 New and used equipment are now located in the same space to create a centralized shopping experience for our customers. We’ve added new shelving units and racks to organize our smallwares and kitchen supplies, grouping similar items in convenient sections to eliminate confusion. Need more assistance? Our knowledgeable and helpful showroom team is located near the entrance of the showroom and always ready to help you! In addition to all the architectural changes, our showroom went through a handful of aesthetic changes and it looks AWESOME. On theme with our new Burkett logo and website, our information desk, floor and signage were redesigned for a fresher and more modern look. Feel free to gush over our showroom makeover, because we do every day we come in. 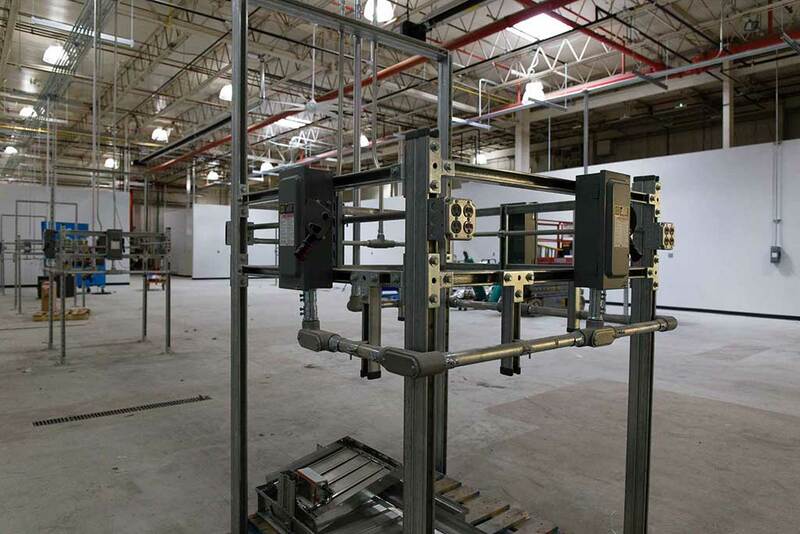 As an industry leader in pre-owned restaurant equipment, it was necessary to include a new, state-of- the-art equipment servicing area in our construction plans. This is the designated area for used equipment to be cleaned, maintained and repaired. We have skilled technicians in-house to make sure each piece of equipment is thoroughly restored and tested. After products are whipped back into working shape, they are taken to our custom photo studio to produce clean, reliable shots for online product pages. 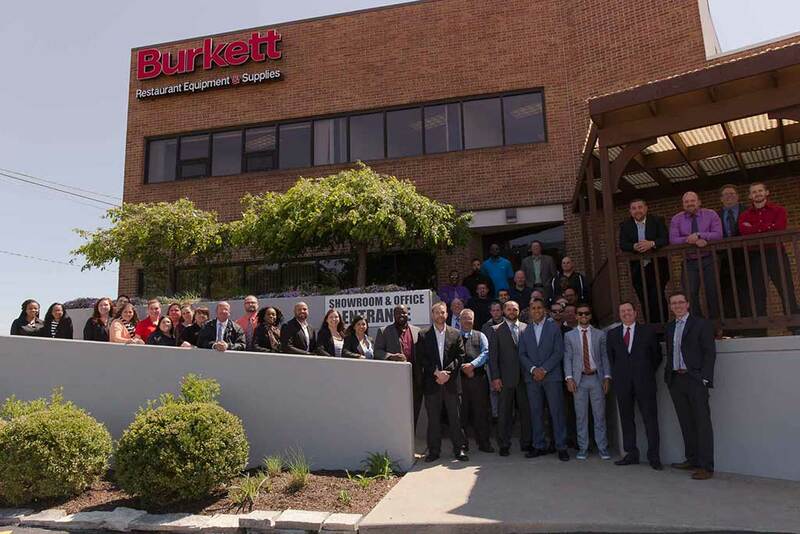 At Burkett, we believe that buying used doesn’t mean lowering standards to save money. It should be a reliable option to provide our customers with the best business decision. In our new warehouse, we are twice as efficient as we were in the old building. That translates to more space to store your favorite brands and supplies. The added space and docks also enable us to handle higher volumes of inventory and increased shipping, meaning we can ship more equipment and restaurant essentials faster and more efficiently than ever before. With all of these improvements, we truly feel like we’re settling into a new Burkett. Come out and check us out if you haven’t yet, we’d love to see you!